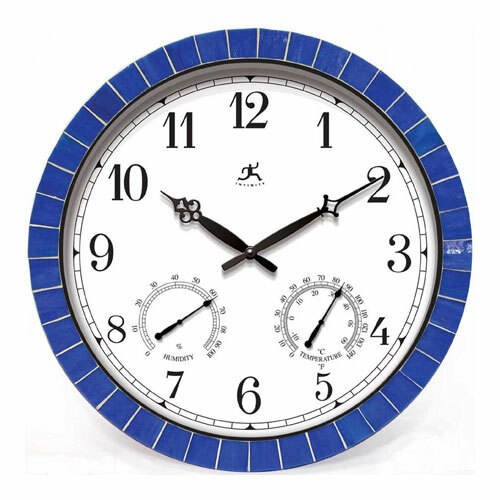 The Blue Tile Indoor/Outdoor Clock by Infinity Instruments is rated for indoor and outdoor use, and runs on one AA battery. A very elegant outdoor clock, this piece works great on a closed patio or open deck. This outdoor clock has a 17.6 inch diameter and includes a thermometer and hygrometer. The frame is a blue tile design with black numbers on a white background. Comes with a 1 Year Limited Manufacturer's Warranty. This item cannot be shipped to Canada.